Crossing the Tiber is the title of my book so I decided to Cross the Tiber literally again today in Rome. 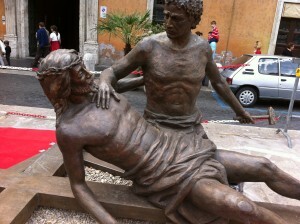 I also saw the bigger-than-life Stations of the Cross at the Vatican. Hope you enjoy! 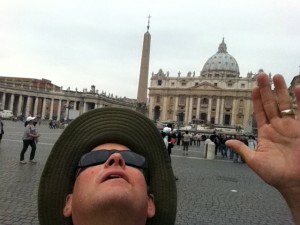 Running through Rome and “Crossing the Tiber” on Holy Saturday. This morning I went out running and I crossed the Tiber River (my book is “Crossing the Tiber“). I also gave my thoughts on my conversion at St. Peter’s, viewed the magnificent larger-than-life Stations of the Cross in front of St. Peter’s, and showed the implements of Christ’s torture on the Bridge of the Angels. God is good! Buona Pasqua (Happy Easter)!